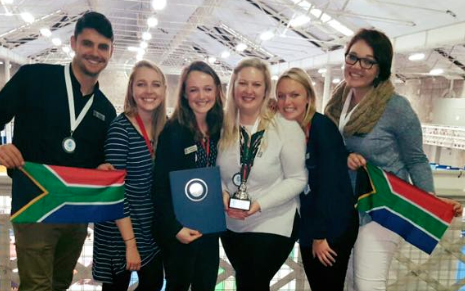 “SA students win award for nutritious version of Nutella” popped up on my newsfeed recently. A nutritious version of Nutella? Made with fermented beans and sweet potato? I have to taste this, I thought. 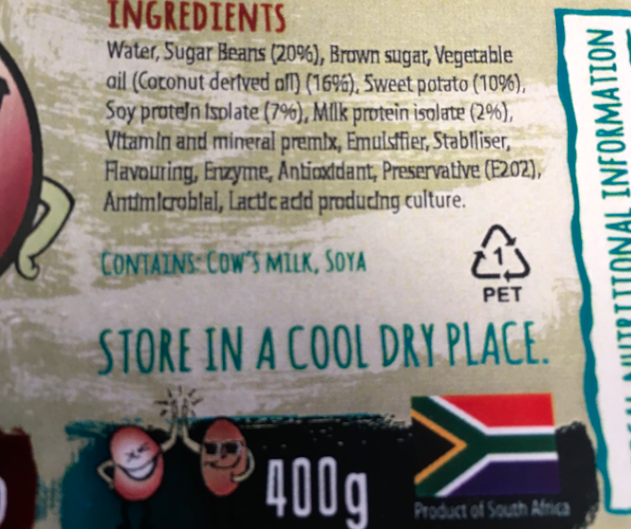 The award-winning S’coolBeans spread was developed by six Food Science students from the University of Stellenbosch, just down the road from where I live. News of the product spread, well, faster than Nutella but they kindly found the time to talk in between radio interviews and meetings to map the future of their nutritious brainchild. I considered taking crackers to the tasting but they arrived with a loaf of white and a little jar of S’coolBeans in hand. I met with Shannon and Cenette who are currently doing their Masters in Food Science and are also the designated members who handle all media enquiries for the group… They’re clearly very organised and conscientious about managing this potentially life-changing product. And I mean their lives, as well as the kids in low-income communities who might benefit from their delicious, affordable and nutritious spread. It’s a very interesting story but please, let’s try some first. Shall we stop using the N-word? With only 2% cocoa it is lighter in colour than Nutella and it also spreads much easier. It’s almost fruity on the nose, with an enticing aroma of caramel and cocoa. The flavour at first is fruity and full of natural-tasting sweetness, with a lovely, creamy mid-palate (“the milk powder” Cenette explained) and a crowd-pleasing, robust chocolate and caramel finish. All of this from fermented sweet potato and beans…. it is absolutely fantastic. “I don’t know why they compare it to Nutella in all the articles, it’s much nicer!” I declare after my first square of S’coolBeans on bread. 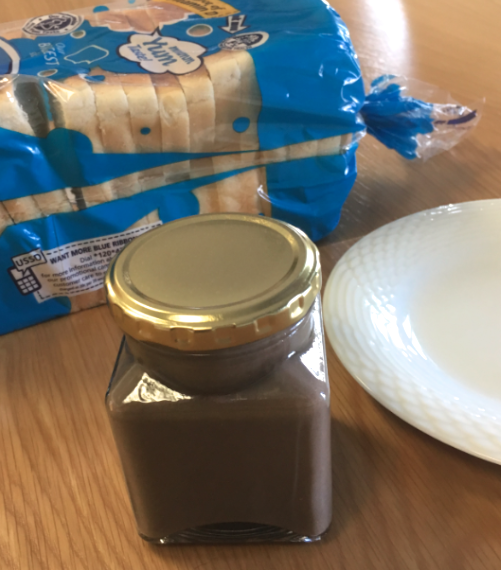 I am not a Nutella fan but millions worldwide are, so creating a nutritious spread with a similar appearance and consistency is very clever indeed. As final years students (in 2015) the group was tasked with the development of a “Stealth Health” product. In other words, something nutritious and vegetable-based that could compete with unhealthy, yummy products on the flavour front. Only the holy grail of food development and a very tough niche to crack. “We tried chickpeas and butternut first,” said Shannon. 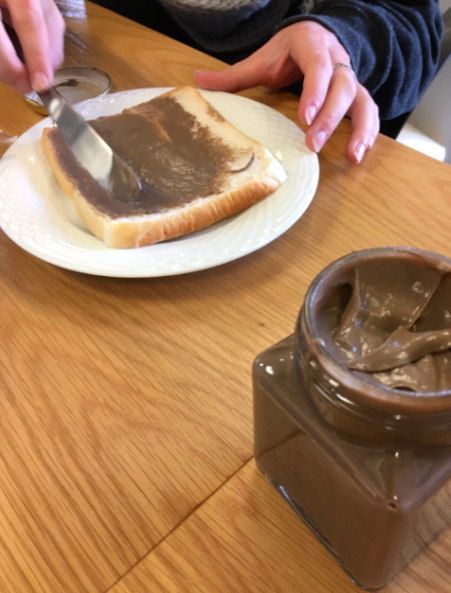 Of course, kids in low income communities would not be familiar with Nutella, hence the request for a peanut butter substitute. My guess is they would think S’coolBeans was the very best thing since sliced bread. 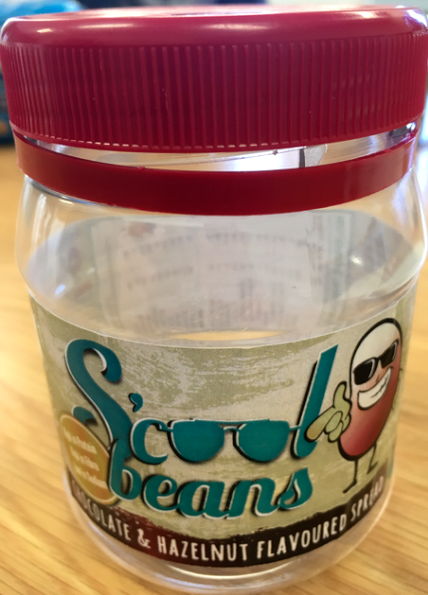 After two months of trial and much error, they’d created a basic paste and four months further down the line, the first version of S’coolBeans was ready for their final year Product Development Presentation. “We really didn’t think much of it, until our prof tasted it and said we definitely had to take it further,” says Shannon, “to commercialise it.” As we now know, professor Gunner Sigge’s eureka moment was confirmed by the judges at the IUFoST World Congress of Food Science and Technology. To put this achievement into perspective, in the 62 years of this faculty’s existence and with waves of final year students presenting products, this is the first one to walk the red carpet of commercialisation. This little piggy is definitely going to market. Of the six creators of S’coolBeans, three are currently completing their Masters in Food Science at Stellenbosch and three have entered the job market. They are all specialising in different fields. Shannon is honing in on the MAP organism that survives pasteurisation and causes all kinds of problems (note: terribly unscientific definition) and Cenette is specialising in the detection of mould on maize. The group is young and diverse and at this point, they all want to pursue their respective areas of interest in the food science business. Which means S’coolBeans is up for grabs. Kind of. The IP is owned by the University of Stellenbosch and the students have a stake in the commercialisation of the product. Whether they decide to sell outright or retain a share would depend on the offers on the table. Just putting it out there… for all the billionaires reading this blog. Although the commercial potential of S’coolBeans is evident, I hope the primary objective to create an affordable, delicious and nutritious product for lower-income children through school feeding programmes remains a priority. 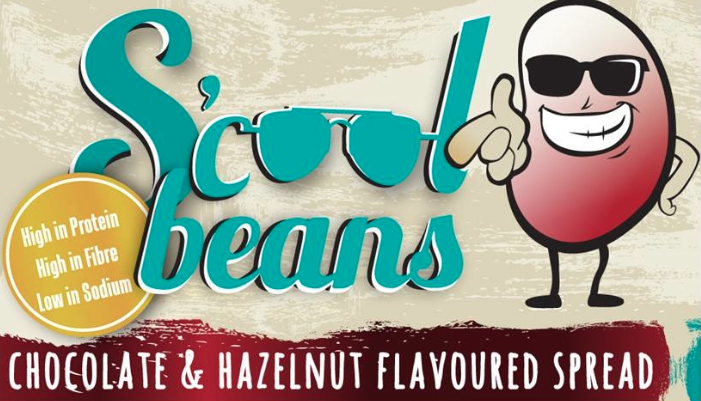 S’coolBeans is unique in that it is cheap to produce, with all the flavour and benefits of a high-end product. The shelf life initally was 1 week, unrefrigerated, as required by the Stealth Health development criteria. They’ve already extended this to 1 month with the addition of a preservative, potassium sorbate. Cenette adds that due to the oxidising nature of sweet potato, further work will be done regarding ideal packaging, sealing and storage. At present, S’coolBeans is a one-pot product. They literally cook it in a pot on the stove. The whole process from start to finish – cleaning, fermentation, cooking – takes about 12 hours. They struggled with a name, as beans and sweet potatoes aren’t considered cool by most kids. But the expression “cool beans” reminded them of their school days, which lead to S’coolBeans… and the rest will be history soon enough. “So, if S’coolBeans came second at the global competition, what won?” I asked. “In instant tortilla mix from Costa Rica, called Naji,” said Cenette. “And it was really delicious,” added Shannon. Somehow meeting these young ladies and munching on a slice of government white covered in fermented bean and sweet potato paste really cheered me up. I’m rooting for S’coolBeans and the team from Stellenbosch Food Science to make a difference. And maybe a whack of money along the way. You are currently reading S’coolBeans are cool beans! at Kitchen Vixen.